If you are new here, hi! You are probably interested to know what we set for our monthly grocery budget. This is how we work it. $380 for consumable goods for our giant monthly grocery haul. $160 for non consumable goods. In addition to that, using our cash envelope budget we use $35 each week for fresh produce and milk. In order to be able to take advantage of sales throughout the month, we budget $40 each month to use when I see a super great deal. We will then freeze or store that food and use it in planning the following month’s meal plan. The key to sticking to monthly meal plan on a budget is to make sure that when you are making your grocery list, you put for every single item an estimated cost and then total what you expect to pay at the register. 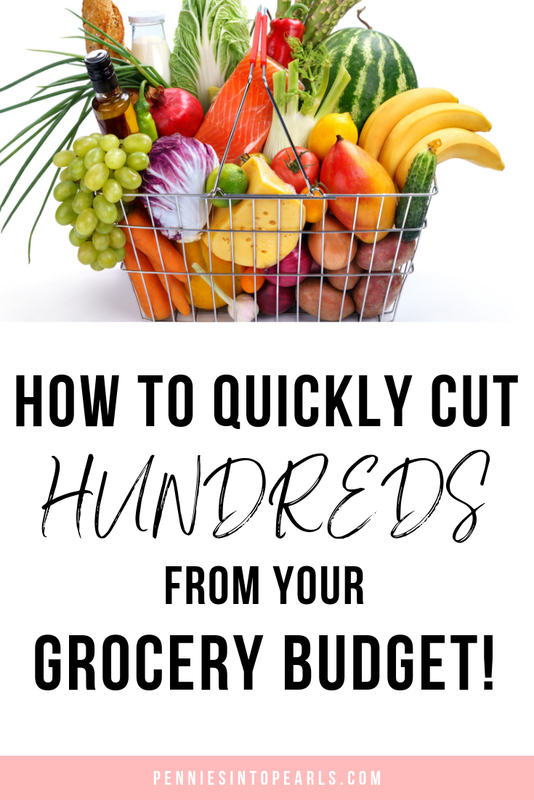 It’s a super simple step that you can do to make sure you stick to your grocery budget. 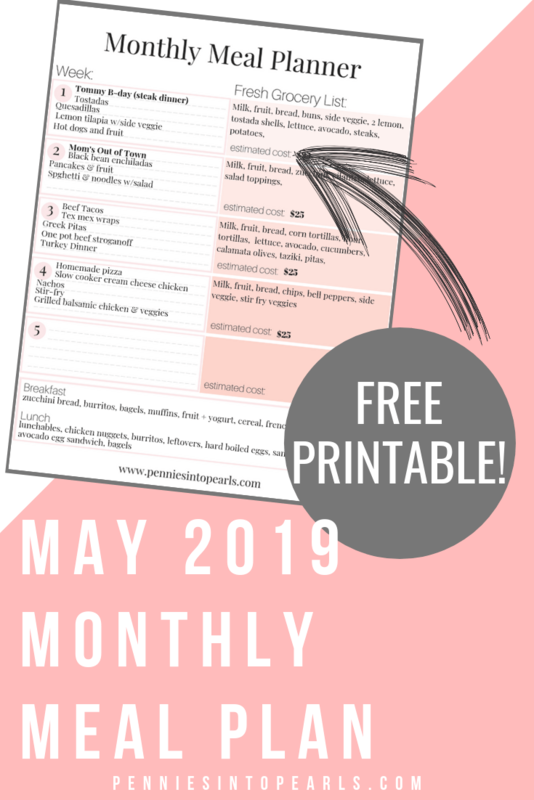 I make it even easier for you with this free meal planning printable. April is a crazy month for us! Side note, I wonder if I will ever not have a “crazy month” in my future. Do I say this every month? It sure feels like it! When I know a month is going to be crazy, the most important part of meal planning is #1 making sure that it actually gets done. #2 Being sure that I am strategic in using our family calendar in collaboration with my meal planning. We are doing things a bit new for the monthly meal plan around here. In an effort to make things one step easier for you, the monthly meal plans will now be sent directly to your inbox. The first of each month the brand new meal plan will magically appear in your email. Leaving you with no searching or hunting it down on the internet. To be sure you don’t miss out, you can sign up below of my free email newsletter where you are sure to find even more Pearl Life tips! Take a peek at what it looks like to buy all non-perishable or freezable groceries for this exact meal plan. Were we able to stick to the budget this month? Watch the grocery haul video to find out!